This article is going to be another rant. I'm trying to get my hands on an install of MS Office 2013 (well, I really only need PowerPoint to do my presentations, and Word to occasionally read files sent by people who don't know better). 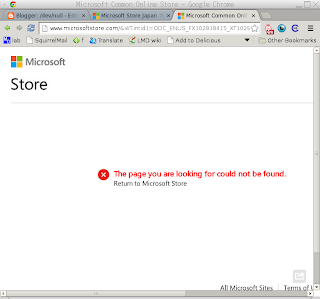 Since I'm an honest individual, I decide to do the unthinkable and actually pay for Microsoft software. However, I'm also a student, so I'm looking for a way to pay the least amount possible and still keep a clear conscience. It appears the best option is the University 365 deal that's exclusive to full-time students. The catch: they have to verify you're a student before you can purchase or even download anything. This is where the fun begins. You get three options for verification: through your school, an ISIC card, or manually typing a verification code into a text box. The first option sounds like the best, except it doesn't work: you get redirected to your school (in my case, Hokkaido University), you enter a username and password, and... get redirected to the start page. One option down, two to go. No, scratch that, I don't have an ISIC card. Well, that pretty much leaves one option -- get in touch with support and ask for a verification code. Sounds easy, huh? Actually, it isn't. 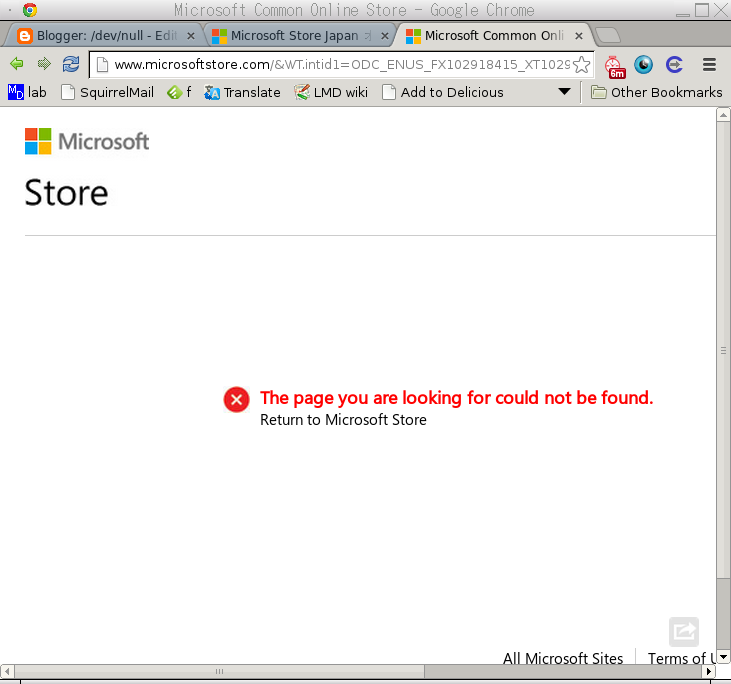 Go to the MS store and search for a way to contact their support team. Bonus question: try to find a way that doesn't involve picking up a telephone. Go on, I'll wait. Back already? Did you find an email? Let me know if you did, cause I didn't. As a consolation prize, I found a chat option... that I can't use right now because it's outside of US business hours. Seriously? Is it really that hard to foresee that not everyone is going to be in the same time zone as the US? It's almost as if Microsoft haven't heard of this wonderful thing called "eemail", which allows people across the globe to communicate without having to arrange a mutually convenient time. Now, it's starting to get ridiculous. 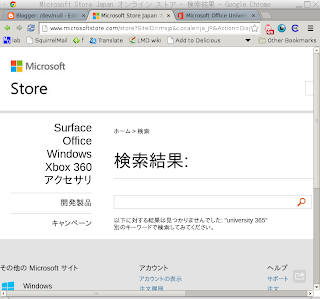 Let's find the Microsoft Store in Japan through Google. 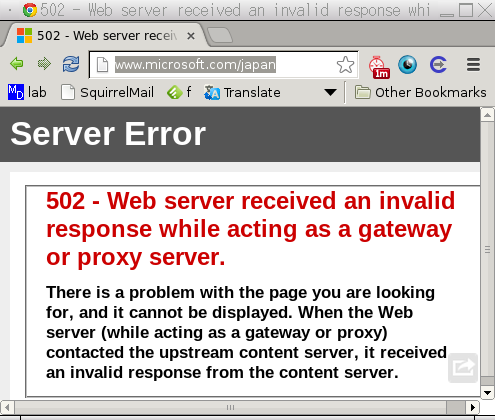 Thankfully, that site doesn't die with a server error. 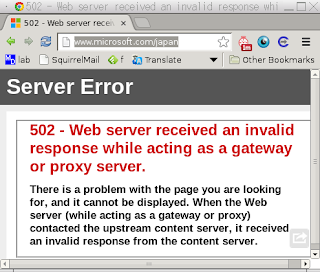 But hey, remember that thing you wanted to buy half an hour ago... yeah, Microsoft University 365? It's not there! I'm a patient and persistent guy. 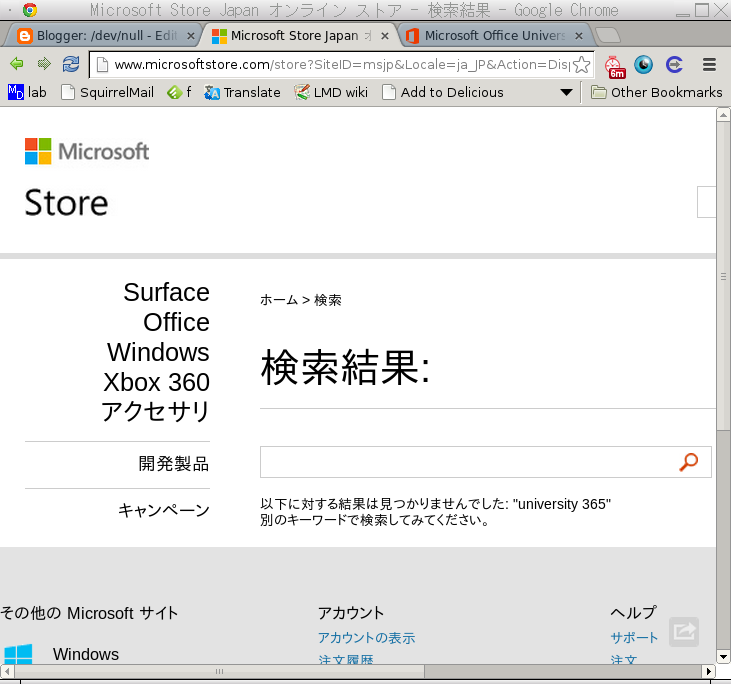 Let's try googling around for "Microsoft University 365". Here's the first hit from Google, and it looks really promising. There's no link for purchasing information, but there is a "learn more" link. Let's click on that. Microsoft, here I am, practically begging you to take my money so I can start using your software, and you still can't manage to keep my business. Maybe I'll just have to go and pirate it like the rest of the world does. I value my conscience, but I also value my time and sanity, and they are both taking a huge hit by having to deal with your online store. If you insist on copying Apple and dressing up your staff to look like a bunch of clowns, then perhaps you should also look at copying Apple and making it easy for people to actually buy your products.